My House is second on the left. I live in a one storey house with my wife and our dog. 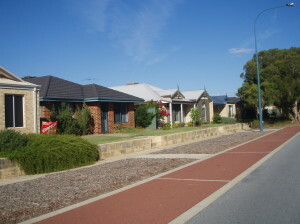 It is a medium size Australian house. 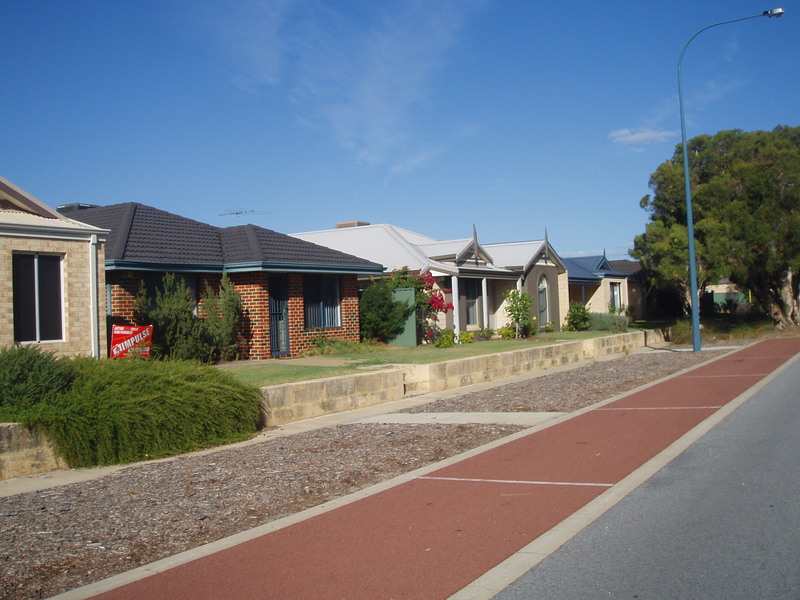 Some Australian houses are much bigger; other houses are smaller. 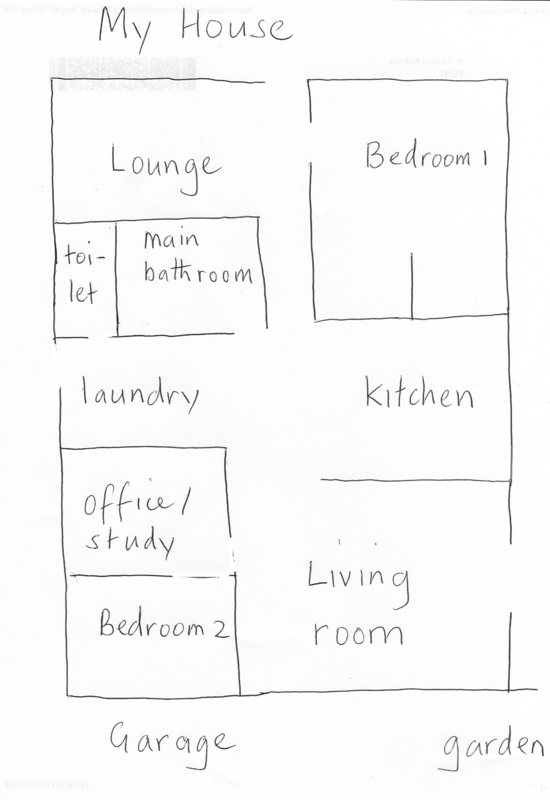 My house has three bedrooms, two living areas and two bathrooms. When you enter my house from the front door, you walk straight into the first living area. We call this the lounge. In the lounge there is a settee; bookshelves and a hifi system. On the left hand side of the lounge, is the main bedroom. It has a walk-in bathroom and toilet. We call this an ensuite. The main bedroom also has a walk-in clothes closet. If you walk down our hallway you’ll enter the front part of our house. 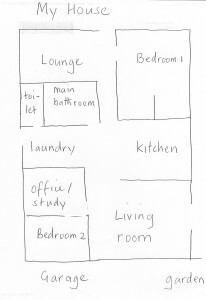 On the left is the kitchen; while on the right is the main bathroom; laundry and toilet. Straight in front of the kitchen, is the main living area. 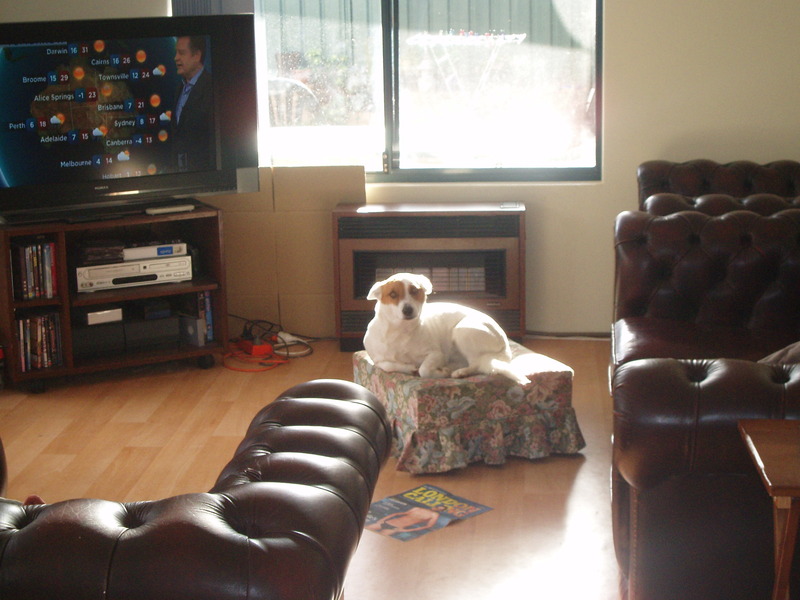 Here we have another settee; dining table and chairs; a television and another hifi system. Our living area has large windows which allows the sun to shine inside. This is very nice and comfortable in the winter. On the right hand side are the two other bedrooms. One bedroom is used by me as an office or study. It has a computer and many books! The other bedroom is used by my daughters when they stay at our house. Sometimes guests sleep in this bedroom. Outside my house is a garden; a garage and a barbecue area. Where do I study or use a computer? where do we watch tv? What utilities do we have? What type of cooker do you have? What do you do in your house?